Find My iPhone is an excellent tool to have on your phone, allowing you to track where your phone is if it is ever lost or stolen. Having said that, not everyone wants their device to be traceable. And on that note, today we will discuss more about what Find My iPhone is, and the best Find My iPhone Removal tool for your iPhone. 1. How Can The Find My iPhone Removal Tool Help You? If the Find My iPhone feature on your iPhone is enabled and you don’t know the Apple ID and its password, you can use iMyFone LockWiper to help you. Actually iMyFone LockWiper can be used whether Find My iPhone is turned on or off, and can be used to bypass any passcodes that you have. 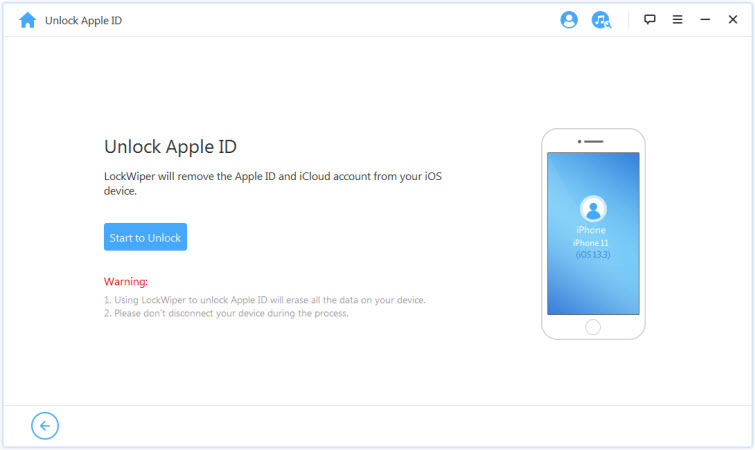 It can also help you remove the Apple ID directly from your device easily. 2. Why iMyFone LockWiper Is The Best Find My iPhone Removal Tool? It can remove Find My iPhone without knowing the Apple ID and password. 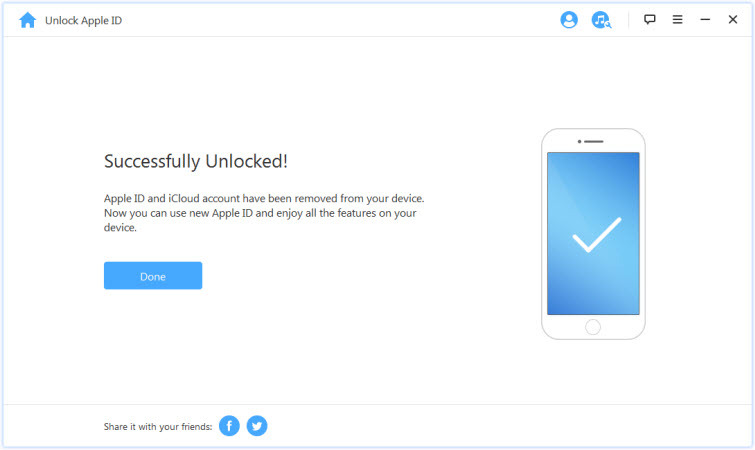 It can also remove iCloud account without password no matter the Find My iPhone is on or off. It can help you remove Find My iPhone on your iPhone, iPad, iPod Touch in just minutes. It allows you enjoy all the iOS services and features after the removal of Find My iPhone. 3. How to Use the Tool to Remove Find My iPhone? It only takes several steps to remove the Find My iPhone. Please follow the stesp below, and then you will get what you need in minutes. Step 1. Download the program first and then launch it on your computer. Step 2. 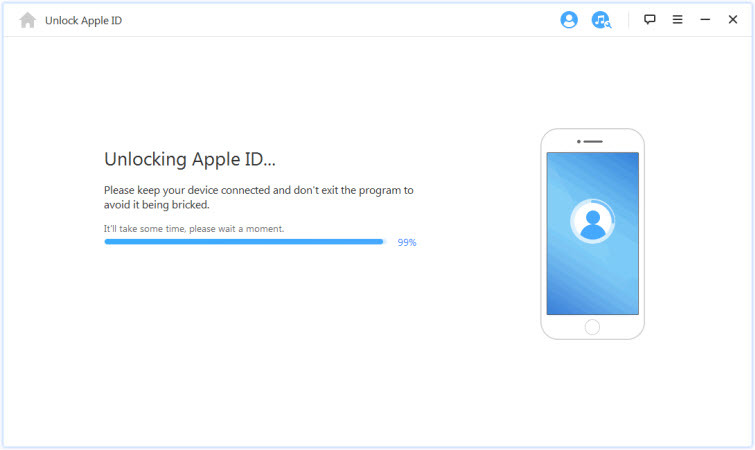 Select the "Unlock Apple ID" mode and then “Start to Unlock” to begin the process. Step 3. After that, it will start the removing process. Note: please note that if Find My iPhone is turned on, you need to reset the settings on your phone first. You can just follow the step on the program. Step 4. Just wait a moment, then it will show you the task finished. Please note: iMyFone LockWiper only supports those devices that are already activated. Tips 1: How Does Find My iPhone Work? 1) Activation Lock - The Find My iPhone activation lock is a tool that is designed to prevent others from gaining access to your phone. If your phone is ever lost or stolen, the Activation lock prevents them from reactivating your device without your permission, and thereby increases your chances of the phone being returned to you. Your activation Lock is automatically enabled anytime you turn on Find My iPhone. 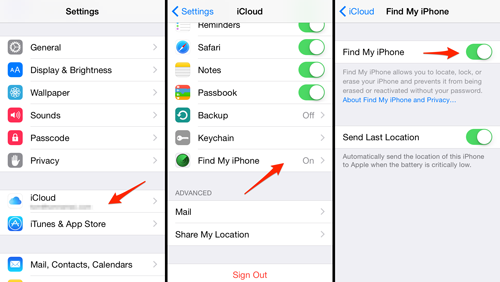 2) Find Your Device - If you ever lose your phone, you can use Find My iPhone to recover it's approximate location. 3) Erase Your Data - If you are ever worried that your phone has fallen into the wrong hands, you can use Find My iPhone to erase all of your personal data and information from the phone. 4) Lost Mode - If your phone ever goes missing, Lost mode will not only help you to track it's whereabouts, but will also send a display message (with your telephone number) to the phone so that whoever finds it can contact you without entering into your personal data. Step 1: On your phone, open your Settings. Step 2: Tap on your Device name. Step 3: Tap on "iCloud". Step 4: Scroll down and tap on "Find My iPhone". Step 5: Turn the switch to "off". Step 6: Enter your Apple ID and password to confirm your choice. In the majority of cases, we always recommend keeping your iPhone logged into Find My iPhone. This will help to protect your phone and your data from unwanted users should it ever be lost or stolen. With that being said, should you decide you do not want to use Find My iPhone, there are three different methods of removal. The first two methods above will simply turn the tool off. But with the help of the iMyFone LockWiper Find My iPhone Removal tool, you can completely remove your Find My iPhone account and start completely from scratch.